If you are wanting to download the senior night pictures, please click here to download them for free at your convenience. Thank you. The Special Olympic team is hosting a fundraiser. They are selling One Team One Mission shirts for a limited time. The deadline to place your order is April 21 at midnight. The shirts are offered in short sleeve and long sleeve. Please note that the orange on the shirts is a neon orange. Shirts will be available for pick up at the high school Thursday May 9 from 2:30 to 4:00. To view the shirts and place your order simply click on the link below. Thank you in advance for your support! At the core of the Oklahoma School Report Cards is the belief that all students can grow and all schools can improve. While no student report card tells the full story of a child, no school report card tells the full story of a school. Education is far more than a single score or letter grade, but it is important that families and communities can see both strengths and areas that need support and improvement. For more Information please click on the link www.oklaschools.com. For information on the Senior Breakfast please click here! For information on how to order a school yearbook please click here! For information on how to order a tumbler please click here! 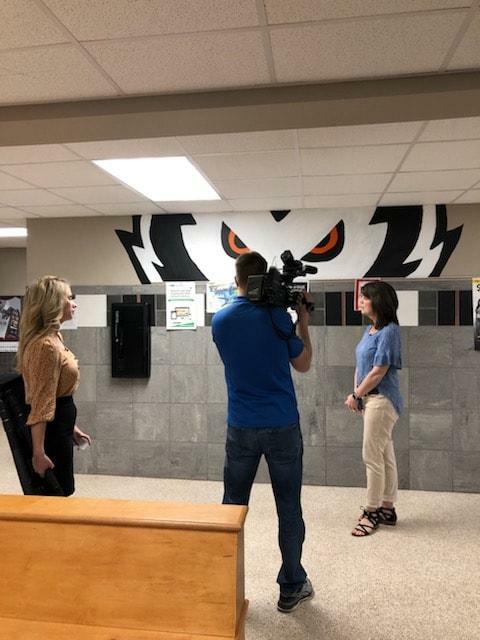 Channel 2 News doing a story on Rachel's challenge and the positive chain reaction that is occurring. Watch for announcement for segment in May. 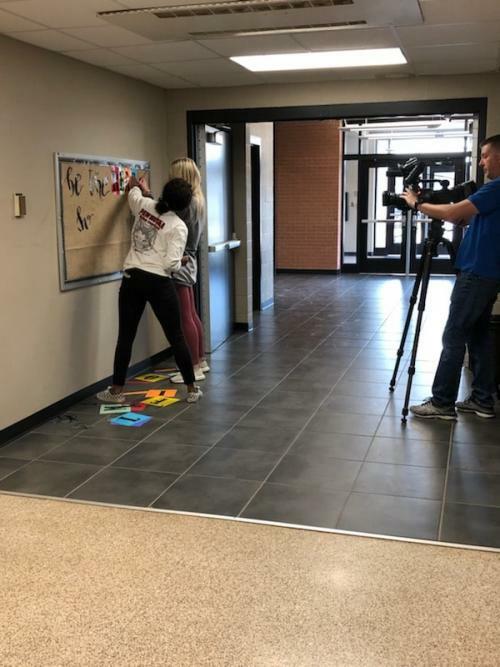 Story will air May 13 at 6:30 am and 5 pm newscasts. OCIC and Tulsa Stem have several camps this summer that are free. 3 -12 graders have different options to match their interests. For more information please click on this message. The Pawhuska High School Business Professionals of America attended the BPA State Conference and Competition on March 11-13, 2019 at the Hyatt Regency Hotel in Tulsa, Oklahoma. There were over 1,700 students competing at the BPA State Leadership Conference. 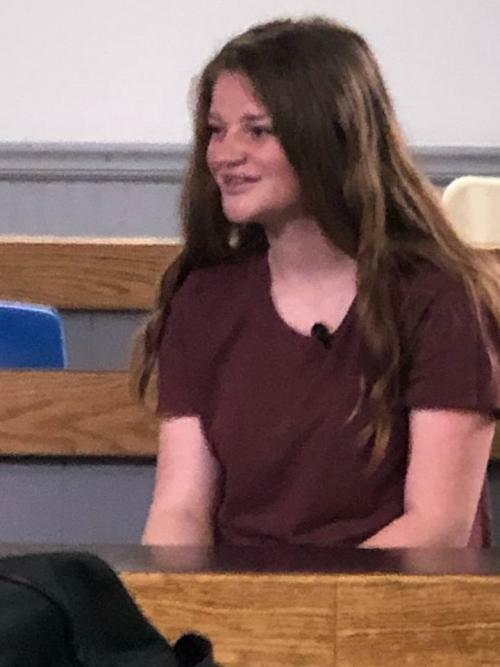 Lynnlea McGuire competed in the Prepared Speech and Job Interview Skills competitions. Lynnlea placed second in the state in Prepared Speech. 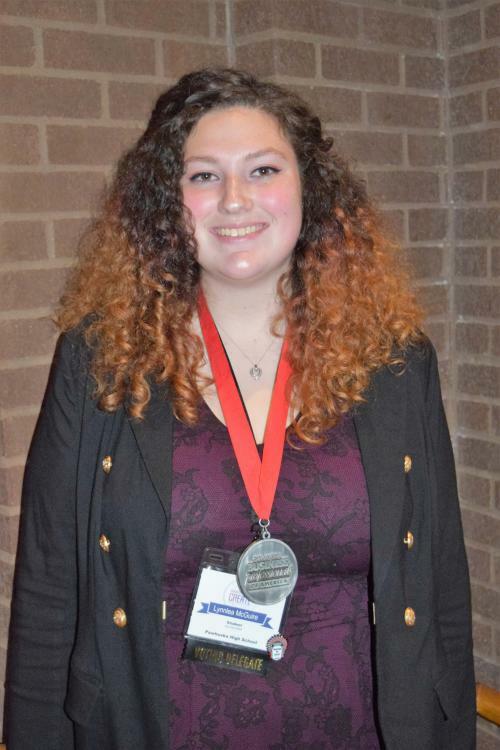 Since she placed in the top three placements, she now has the opportunity to attend the National Business Professionals of America Conference in Anaheim, California on May 1-5, 2019. Lynnlea is the president of the Pawhuska BPA Chapter and Ms. Sharon Holloway is the BPA Adviser. Attention Pawhuska High School Seniors! The Nature Conservancy is seeking seasonal help! Please click the link below to view their current job openings. I am excited to announce the 2018/2019 Honor Teachers! Congratulations ladies, we are so thankful to have you here at Pawhuska Public Schools! We would like community input for a possible bond issue for the spring of 2019. Thank you for taking a few minutes to fill out the survey. We have recently switched school messenger systems. We will be sending test calls out periodically this week (evening). The new system also sends out text messages! Please call your child(s) building secretary if you have not received the call or text, or need to update your contact information. We are trying to transition smoothly, as the bad weather season is upon us. Thank you! For information on Meningitis click here. Our doors open at 7:45 for breakfast. The JH/HS Bell Schedule has changed. Please change on the school's website. The Parent Gradebook Portal will open to parents/gardians on September 12th. Please click here for more info. We are extremely excited to announce that the Pawhuska Police Department has officially hired a dedicated, full-time police officer beginning this school year for the Pawhuska Schools. Pawhuska native, Lori Hennessey, has been hired for this position. Many thanks to our City Manager Larry Eulert and the Pawhuska City Council for the addition of this valuable asset to our Department, Community and School. Welcome aboard Officer Hennessy, we are excited to have you as a part of our team. Check out our 2018-2019 calendar! Attached is the document defining our Drug Policy Program & Steps of Action, adopted on May 9, 2016. We encourage our patrons and stakeholders to leave comments, concerns, and recommendations regarding these programs. "Each recipient of a grant or subgrant under the Elementary and Secondary Education Act of 1965 (20 U.S.C. 6301 et seq.) must display, in a public place, the hotline contract information of the Office of Inspector General of the Department of Education so that any individual who observes, detects, or suspects improper use of taxpayer funds can easily report such improper use. ESSA, Section 9204(1)." Breezy in the morning and rain overnight.